HOUSTON — David Price, at last, looked like a postseason ace. Craig Kimbrel pitched a lockdown inning. And much-maligned Jackie Bradley Jr. became an MVP. The club that led the majors with 108 wins this season eliminated the defending champion Houston Astros with a 4-1 victory, taking the AL Championship Series 4-1. The Red Sox will try to bring Boston its fourth crown in 15 years - this is their first World Series trip since winning it all in 2013. 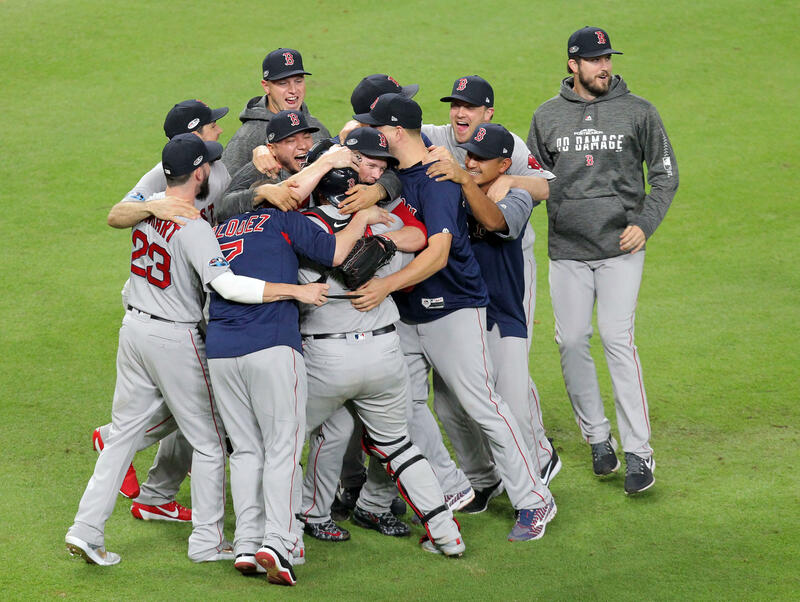 "Boston is a perfect 5-0 in road games this postseason, with two wins in New York in the ALDS and three in Houston in the ALCS," notes CBSSports.com's Katherine Acquavella. "It's the Red Sox's 14th pennant in franchise history. The last three times they were AL champions, they went on to win the World Series (2004, 2007, 2013)." Cora said before Thursday night's game that the lefty ace was prepared for his next start – either in the ALCS or the World Series opener. Sale went 12-4 with a 2.11 ERA this season but was limited down the stretch because of shoulder trouble. His velocity dipped in the playoffs, where he won the AL Division Series opener against the New York Yankees and also relieved in the clinching Game 4. "There was a lot of noise," Cora said. "I heard somebody today on TV just blasting David, blasting him, calling him the worst pitcher in the postseason. Yeah, the numbers are there, I know, but he was saying this - he didn't hesitate. It was a bad matchup, one of the greatest against the worst and all that."